The first intentional howler comes in the opening caption when the film locates the action in the secular Before Common Era (1300 BCE). This may succeed in wafting an air of postmodern uncertainty around traditional religious belief from the start but, in a film that owes its existence to the Exodus narrative, it dishonours its primary source. Because the Exodus story has been mediated to most of the world through the Christian Bible, Before Christ (BC) has got to be the rightful owner. BCE is like a skull and crossbones on an ambulance. 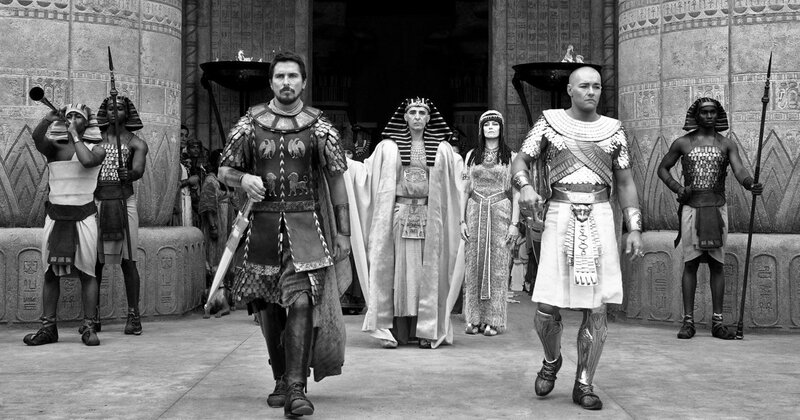 The film’s portrayal of the God of the Israelites is also intended to generate postmodern uncertainty. Even though he calls himself ‘I am’, he is manifestly not Yahweh, the true Lord of all creation who spoke to Moses from the burning bush. Robbie Collin, reviewing the film enthusiastically for The Daily Telegraph, describes him as “a child rolling dice…crop-haired and spindly, with a smile that’s impossible to read. He’s hunkered down beside a rock, stacking a handful of dice made of knucklebones in the shape of a stepped pyramid, and commands Moses to return to Egypt and set his people free”. It is ridiculous that this postmodern caricature of the God of the Hebrews should issue Moses with the absolute spiritual and moral rule of the Ten Commandments. The film portrays this, sort of, but in it the child asks for Moses’s agreement as if the prophet were a Hollywood actor signing up for the sequel. In the Bible, God gives Moses commands combined with gracious promises of His continuing Covenant love. At least, the film presents the ten plagues of the Exodus narrative. But it is so unfaithful to its biblical source that its only real spiritual use is to show the infinite superiority of the God of Abraham, Isaac and Jacob, the supreme Lord who has now made Himself known in Jesus Christ, to any postmodern imitation.